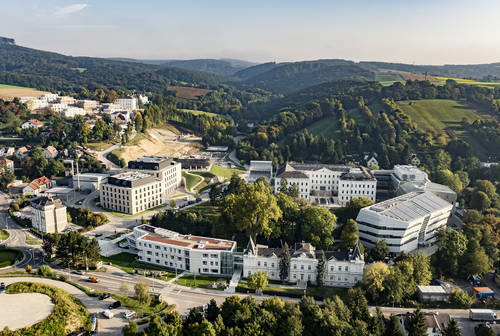 IST Austria is a constantly growing international institute for conducting frontier research in the life sciences, the physical sciences, mathematics, and computer science, located in Klosterneuburg on the outskirts of Vienna. As employees in Administration and the Scientific Service Units, we strive to support IST Austria's scientists in performing excellent research. This assistant position offers the exciting prospect of joining the Office of the President, working in close cooperation with the Head of the Office in providing support to the President and Vice-President of IST Austria and acting as the first point of contact for staff, board and committee members, as well as the general public. Are you interested in how your future working place may look like? This video provides a bird's eye view of IST Austria. We offer a minimum salary of EUR 2,400 gross/month, with possible overpayment depending on education, qualification and work experience. IST Austria processes your personal data in accordance with the statutory data protection regulations. For more information including your rights as a data subject please refer to our data privacy statement: https://ist.ac.at/data-protection/.